In the latest twist in the ongoing Olympus drama, which saw CEO Michael Woodford fired and his replacement step down within a matter of weeks, the latest personnel casualty is Vice President Hisashi Mori, amid findings that cover-ups have been going on since 1990. A statement by Olympus revealed that more than $1 billion in merger payouts have been used to hide years of losses on investments. This marks a dramatic U-turn by the company, which had previously denied that any wrongdoing had taken place. The New York Times is suggesting the revelation could "make this one of the biggest accounting fraud cases in corporate history." Michael Woodford, the British CEO of the all-Japanese board, was fired in September after questioning payments made to advisory firms relating to acquisitions before his appointment as President in February. Woodford had only been CEO for a mere two weeks before he was dismissed. Last week, Olympus appointed a panel of external experts to investigate in a bid to calm fears from investors. Shares in Olympus have been rapidly falling since Woodford's original dismissal. In a statement issued on 8th November, the company revealed that the money for mergers had been used to mask heavy losses on investments going back as far as 1990. The panel found that Olympus had pushed money through several investment funds to "eliminate latent losses". The panel was not expected to reach any conclusions so quickly. The biggest single payout under investigation is the $687m fees the company paid to a financial adviser during the acquisition of a British medical equipment maker in 2008. The fee was around one third of the $2billion acquisition price, a fee which is 30 times more than is usual. Three small companies in Japan were also acquired for a total of $773m, with most of their value written down within the same fiscal year. 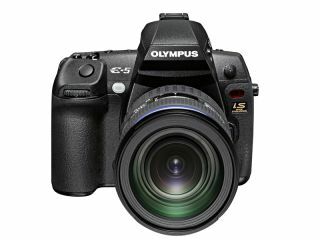 The companies all had little to do with Olympus' main line of manufacturing cameras and other electronics. Shuichi Takayama, the new President of Olympus, issued an apology at a press conference, "It is true that there were inappropriate dealings," he said. "Our previous statements were in error." According to Takayama, Olympus is still investigating what happened and as yet, he in unprepared to reveal the scale of losses. Hishashi Mori, the executive vice president has been fired over his involvement in the cover up, while Hideo Yamada, who is also implicated has offered resignation. For the moment, Olympus is still maintaining that Woodford was fired because his "Western" style of management was at odds with Japanese culture.